Do you ever walk into a corporate office, doctor’s office, or hotel and notice the art that they have on their walls? Have you ever thought about where they get that art? Naturally, it doesn’t just magically appear. Have you ever wanted to see one of your own pours up on those walls? Businesses, specifically in the hospitality and corporate sectors tend to get their art from specific agencies called art consulting agencies. These agencies are typically present in every large metropolitan area, sometimes operating just within a state, but others have clients across the country or the world! Art consulting agencies are these relatively small companies whose clients can range from your average dentist to a fortune 500 corporation. Their job is to find and commission art that is the perfect fit for any given space. These agencies typically have an inventory of art by artists whom they represent, and they either use that inventory to sell to their clients directly or use them as samples for clients who want something made specifically for them. The best part about these agencies is that they are always looking for new work. In my experience, these agencies are primarily looking for abstract and contemporary artwork, ranging anywhere from dramatic abstract monochrome paintings to bright and colorful work. 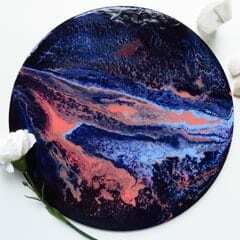 Sound something like your latest acrylic pour? The answer? Google. Search. Specifically, you’re going to want to search for art consulting agencies in your area. If you live somewhere rural, search more broadly by your state, province, or just pick a couple large cities near you. When you find these agencies, go to their website. Make sure the work that you make is sort of similar (alternatively, if your work is entirely different, pitch it as a way they could diversify their inventory) and send them an email! This email you send them should contain some vital information like who you are, what you do, and how you can benefit them. Also, include the wholesale prices of your work (this is typically half your retail price! So change your prices accordingly to make sure you’ll still be generating profit). The absolute most important part of this email pitch is that you include photos of your work! Pick the best photos you have, and include a variety of different color combinations and compositions. You want to both show the level of skill you have and the range of things that you’re capable of. Make sure that of the photos you sent to them, at least one is available for you to bring to their office if they ask you to! With all email pitches and business opportunities, it’s likely that you won’t hear back from everywhere you send an email to. This is why you should send anywhere from 5-10 of these emails, depending on how many agencies live in your area. But think about it! If even one agency gets back to you, wants to schedule a viewing and ends up loving your work, that’s a success. Art consulting agencies can provide a great way to network with professionals in the art world and get your work out there! 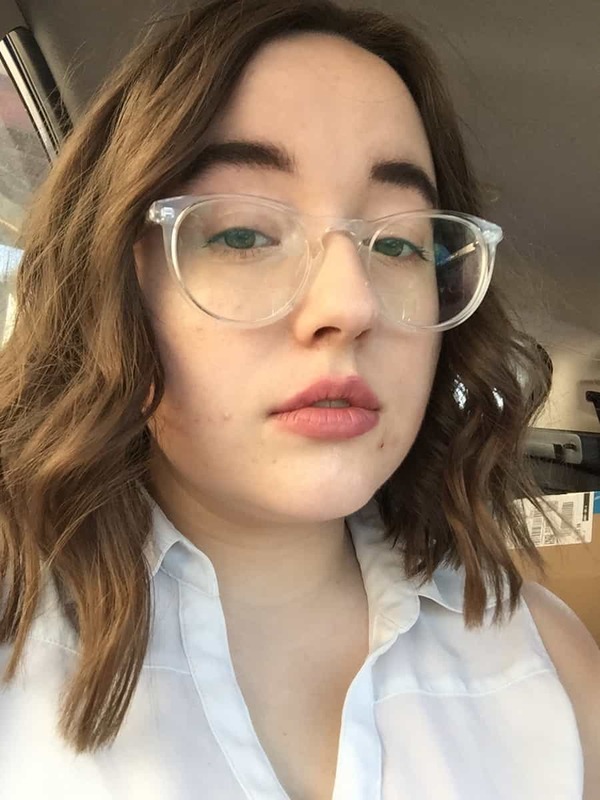 Kelsey Rodriguez is an emerging artist and Political Science undergraduate student in Saint Paul, Minnesota. 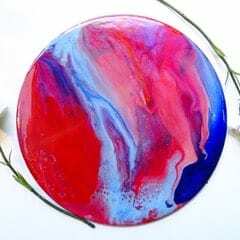 She just recently opened her small business selling her original artwork, Poured Planets, in the spring of 2018. She has exhibited at several cafes around the Twin Cities and has ongoing consignment relationships with galleries and art consulting agencies around Minnesota. To see more of her artwork, follow her on Instagram check out her website or shop originals and prints on her Etsy.